Lamb is a well-established, traditional Easter meal all over the Christian world. In fact, it is an important symbol of Christianity, because it perfectly represents the notions of innocence and obedience that are linked to the sacrifice of Jesus Christ. What’s more, Hebrews were already eating lamb during the Jewish Easter (Passover), in this case to commemorate their exodus from Egypt. 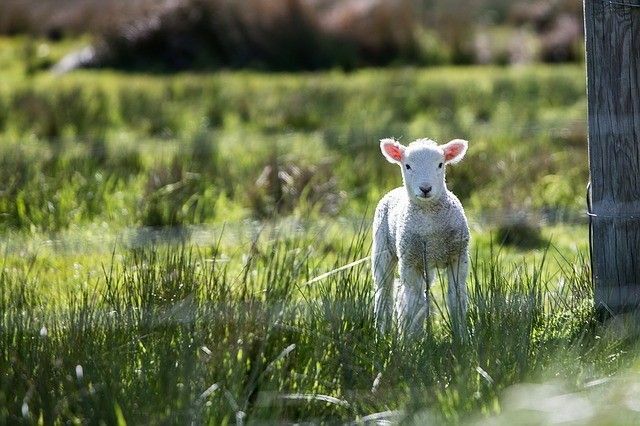 But in those days, there was another reason for serving lamb during a spring festival, because the natural reproductive cycle of ewes produces lambs in the months of March and April. Nowadays however, modern rearing techniques ensure that this meat is available throughout the year. As a mark of respect for tradition, I propose a lamb dish that you can even prepare in advance, so that you’ll be free to enjoy yourself thoroughly with you family and friends on ‘D’ day. Happy Easter! Originally published in the Journal de Montréal on April 23, 2011.